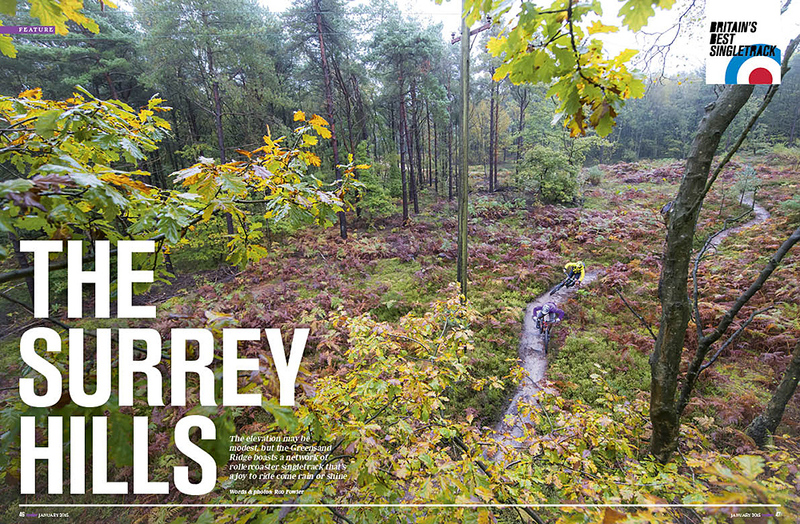 Britain’s Best Singletrack: You might not think it but the Surrey Hills has some of the finest riding in the UK, and it’s less than an hour from London. Get our GPS route guide and download. RockShox’s Pike versus Fox’s new 36: the two hottest forks on the market go head-to-head in the ultimate test of front end grip and control. 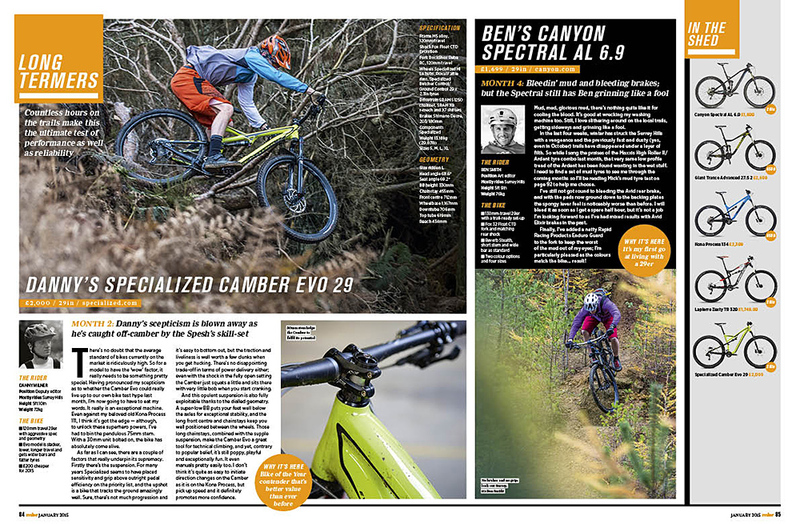 Trail bikes for under £2,000 — the new 650b wheelsize segment has blossomed on 2015 bikes, we find the best value and best performing bikes for your money, from Canyon, Giant, Nukeproof and Vitus. 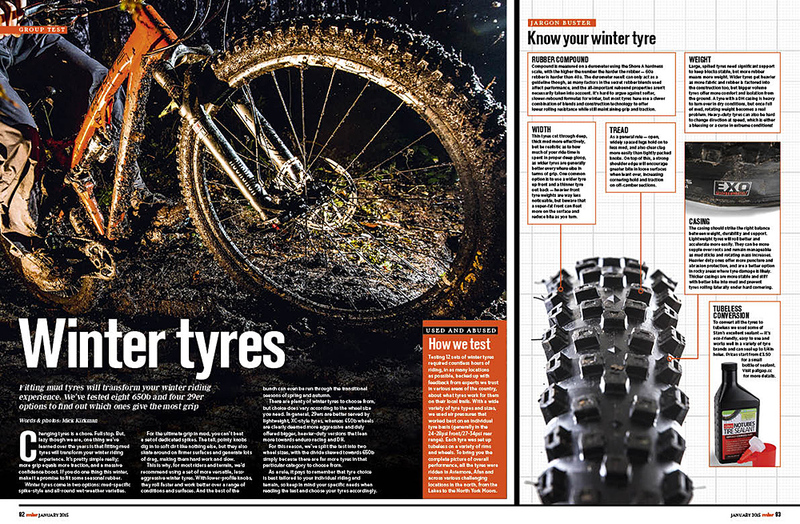 Winter tyres on test: transform your winter riding with grippy tyres that cut through the mud and limpet-grip to slippery roots. 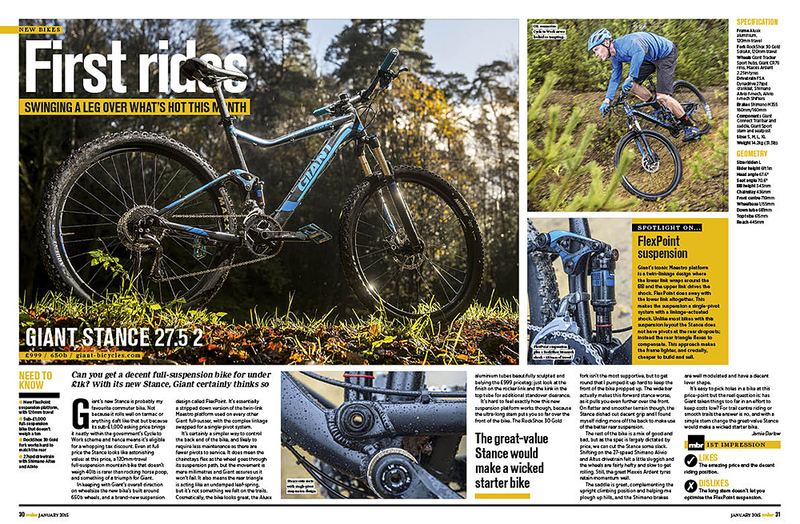 Eight 650b options and four 29er tyres under review. 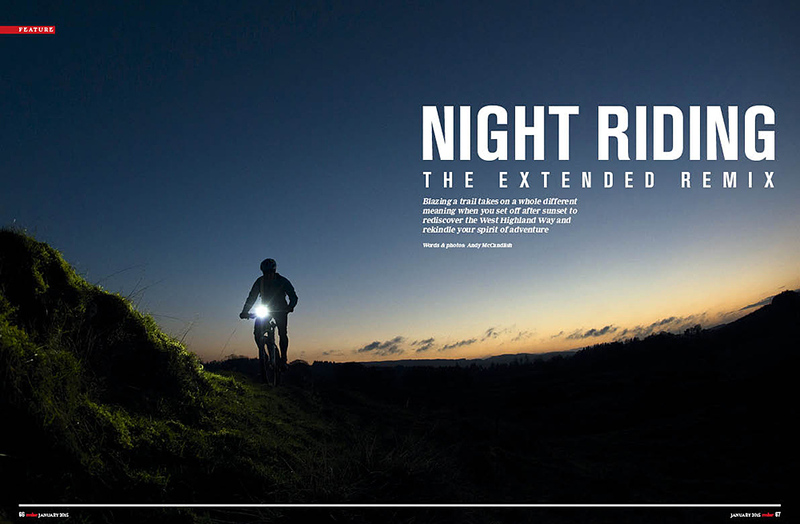 Night riding, the long version. 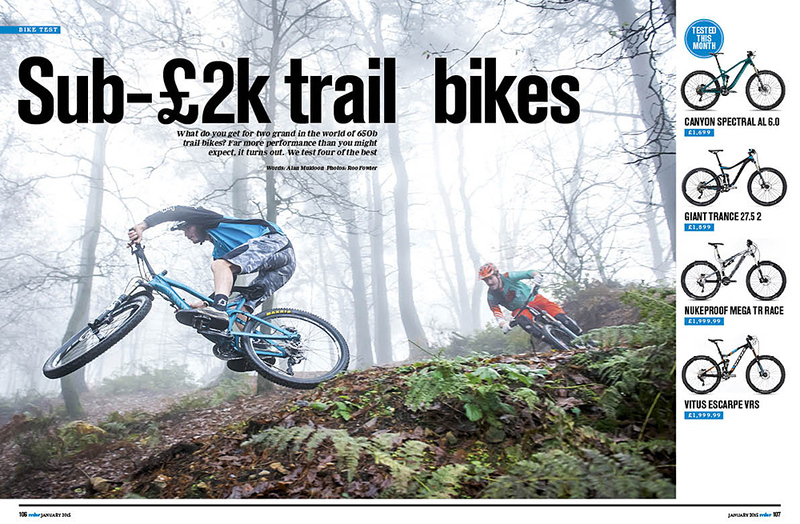 The West Highland Way is tough but we’ve just made it tougher, riding it at night and in the winter. Not for the faint hearted, or even softie journalists like us, it turns out. 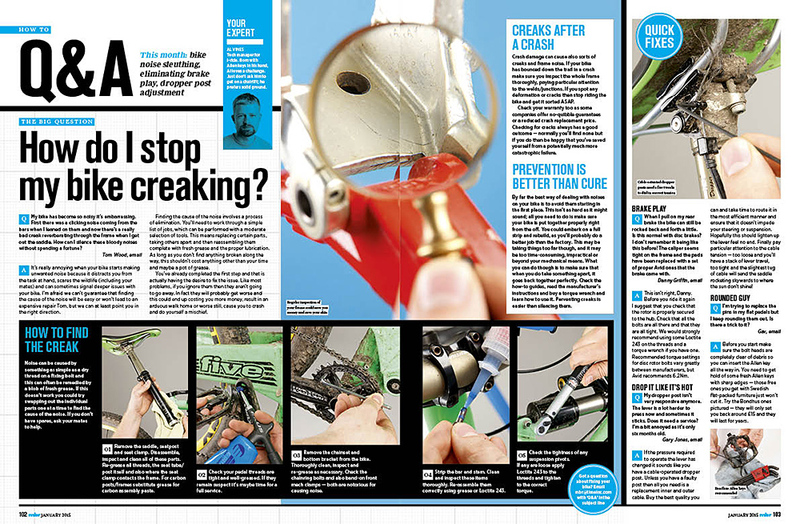 How to service your Fox fork: keep it supple and sorted with a lower leg overhaul. Carpark skills: waiting for friends to turn up to ride? Waste your time the right way by nailing carpark skills that can help you on the trail.